← Storefronts Seattle is proud to announce the 2013-2014 artist roster! Storefronts additions for June First Thursday! Storefronts Seattle is proud to announce two new projects in Chinatown and Pioneer Square opening tonight for First Thursday. Timothy Furstnau is an Oakland and Seattle-based artist presenting STEERTS YTIC, an installation at 411 Maynard Avenue South in the Bush Hotel. 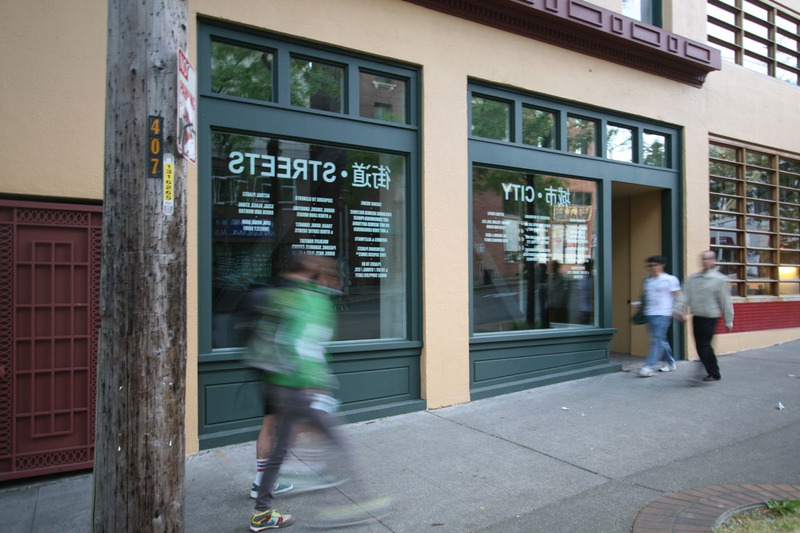 Reading backwards from the outside, STEERTS YTIC is a tongue-in-cheek advertisement for all our city streets have to offer us in the diverse and varied qualities that make Seattle city life interesting. Quite funny and subtle in life, it’s highly recommended to go by and take a look, especially at the door. Through August 12, the Bush Hotel, 411 Maynard Avenue South. 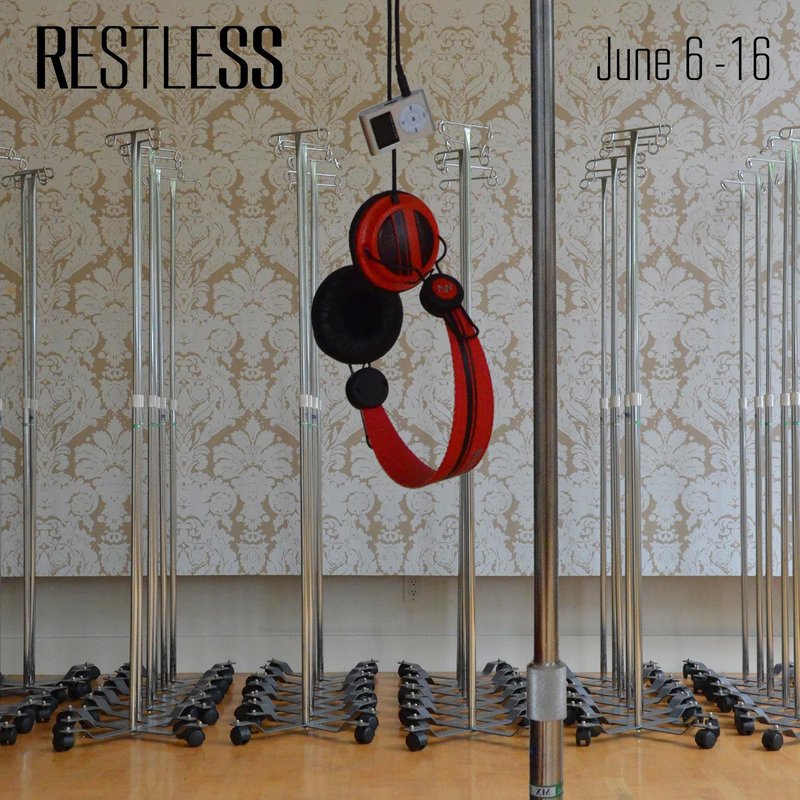 Local artist and musician Paul Rucker opens his Open Studio Project tonight at 301 Occidental Square, including the debut of RESTLESS, an interactive installation by Rulon Brown. An exercise in “exploring, trying, presenting, and leaning into the hard edges” through visual art, interactive sound, video, and site-specific work, the Open Studio Project will feature upcoming performances by Rucker, Rulon Brown, Jeff Busch, and Bill Horist, as well as jewelry by Rulon Brown, nightly performances, and other invited artists. Rulon Brown with Paul Rucker, Jeff Busch, & Bill Horist. This entry was posted in Uncategorized and tagged City Streets, Paul Rucker, Pioneer Square, Restless, Rulon Brown, Shunpike, STEERTS YTIC, Storefronts Seattle, Timothy Furstnau. Bookmark the permalink.